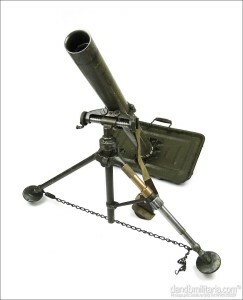 The Mortier Brandt Modéle 27/31 was an 81mm-caliber French mortar developed from the Stokes Mortar of World War I by the French Brandt company. The French Brandt 81mm (actually 81.4-mm/3.2-in) Mortar model 27/31 was one of the most influential mortar designs of its generation. The British army introduced the ‘Stokes’ 3 inch mortar during the second half of WW1. Designed by Sir William Stokes it saw widespread use in the British army and also those armies of the Commonwealth, Portugal and U.S.A. Although it appeared to be very basic in its concept it represented a big step forward in the design of lobbed artillery. The Brandt mle 27 proved to be a huge success in service and it wasn’t long before it was further modified to take advantage of the rapid development and improvement in the range and capability of the 81mm projectiles. The new model entered service in 1931 as the Mortier Brandt Modéle 27/31 and subsequently found itself in service with the Austrians, Danes, Germans, Japanese, Dutch, Russians, Italians and Americans, with other Nations simply copying the design in order to escape paying licence fees. The weapon could be disassembled into 3 loads and a normal crew was 3 men. When a mortar bomb was dropped into the tube, an impact sensitive primer in the base of the bomb would make contact with a firing pin at the base of the tube, and detonate, firing the bomb towards the target. A trained crew could fire up to 18 rounds a minute. 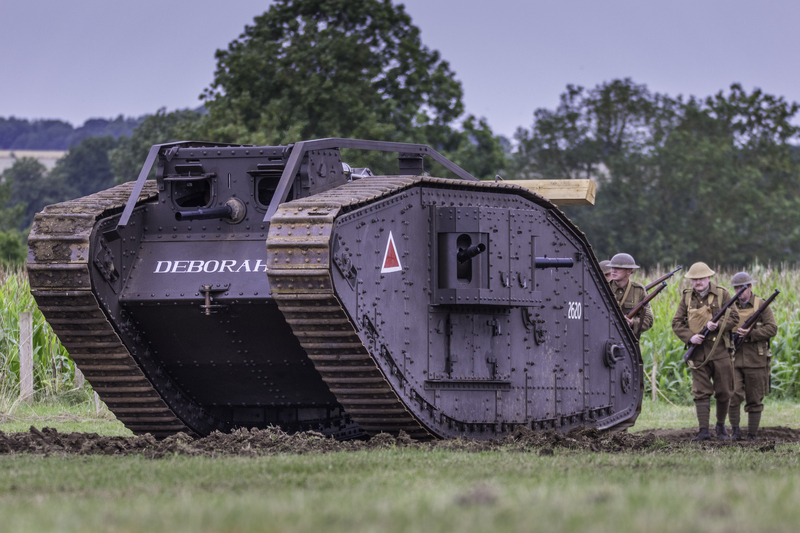 The elevation adjustment range was between 45o & 80o and that of the traverse between 8o & 12o any further adjustment required the re-positioning of the weapon. Mortar bombs fired by the weapon weighed either 3.25 kilograms or 6.9 kilograms.